As an Army brat, my family spent many years on military installations across the globe before my father, Army LTC Charles Hobbs, retired from active duty and settled us in Tallahassee, Florida. But when my dad was commissioned as a second lieutenant after graduating from Florida A&M University in 1963, Jim Crow segregation was still in full effect across the South. More crucially, dad served and my family lived on several bases named for rebellious Confederate generals. I had one sister born in 1967 at Fort Gordon in Augusta, Georgia, which was named for John B. Gordon, one of Robert E. Lee’s top Rebel commanders. 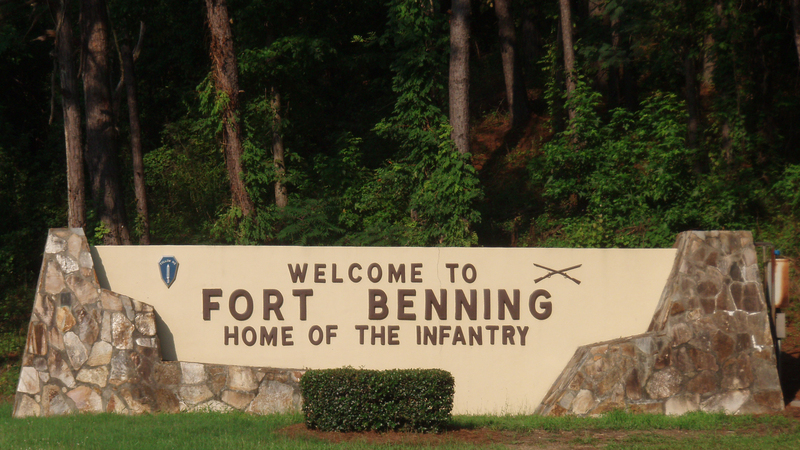 I started pre-school in 1976 at Fort Benning, named for Henry Benning, another Rebel officer who served under Lee. How fitting would it be to have Fort Benning changed to Fort Colin Powell, named for the Vietnam vet who trained as a Ranger there before later becoming the first Black National Security Adviser, the first Black Chairman of the Joint Chiefs of Staff, and the first Black Secretary of State? Or, if Fort Bragg was changed to Fort Benjamin O. Davis, Sr, one whose military service spanned from the Spanish-American War in 1898 all the way to becoming professor of military science at Tuskegee and Wilberforce Universities–both HBCUs–in the early 20th Century before becoming the first black Army Brigadier General in 1940? Such is unlikely at present, what with President Donald Trump doubling down on his defense of Rebel monuments being taken down across America in places as far north as New York City and as far west as San Diego, California, it is extremely unlikely that the Department of Defense will seek to change these names under his watch. While I understand Gen. Frost’s position, I most strongly disagree. The American military is filled with heroes of all races who would be worthy to have their names affixed upon military bases. American military men and women, mind you, who did not conduct hostile enemy activity against the United States of America. While I understand that most of the Rebel brass once served in the US military, too, to me, they deserve a traitor’s disgrace–not to be forever memorialized as heroic figures worthy of exaltation.